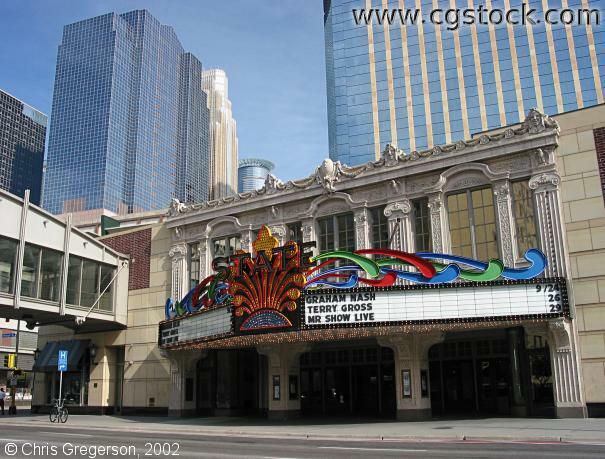 You are on Hennepin Avenue looking southeast at the State Theater. The skyway on the left connects to the Carmichael Lynch building. The buildings in the background are (left to right): the Radisson Plaza Hotel, Wells Fargo Tower, and LaSalle Plaza.